Thanks to our loyal customers and friends! We strive to offer the best service and our friendly staff is always here to help. Be cool in the Summer & warm in the Winter! We offer a full line of remote start and security systems! We offer the best names in Remote Start and Security systems. Viper, Python, Clifford, AstroFlex, and many others! Tailored to your needs by our knowledgeable staff. Most insurance companies also offer deep discounts on your policy when you have one of these installed!. We buy, sell, and repair Apple Products! We're here to help you with all your iPhone, iPod, iPad, and Apple needs. Broken or cracked screen on your iPhone? We can fix that! Need to JailBreak and Unlock your iPhone for use on other carriers? Let us take care of that for you! Battery on your iPod not holding as much of a charge any more? Buttons not working? Cracked LCD? We fix it all! Swing by today! Serving the North Shore for over 37 Years! We have everything you need for your electronic devices, cell phone service, remote starters and more. From new and used phones, chargers, accessories or repair, we can assist you with all your electronic and mobile needs. Boost Mobile's no contract cell phones are designed to fit every budget. Try one of our pay as you go or unlimited wireless plans today. Where you at? Click here for more information, phones, and rate plans offered from Boost Mobile! Virgin Mobile provides Cell Phones and Low-Rate Prepaid Plans with Unlimited Talk, Text and Web, No Contracts, taxes and fees included. Click here for more information, phones, and rate plans offered from Virgin Mobile! Customized Remote Start and Security systems tailored to your needs! Using the exciting new Smart Start option you can now remote start or lock and unlock your car just by pushing a button on your iPhone, Android, BlackBerry, or other smartphone! We buy and sell many different kinds of electronics ranging from cell phones, tablets, laptops,TVs, radios, iPod, iPad, digital cameras and more! Stop on by and check out our inventory! Trade in your old stuff for CASH!! We offer the absolute best cellular repair service on the North Shore! 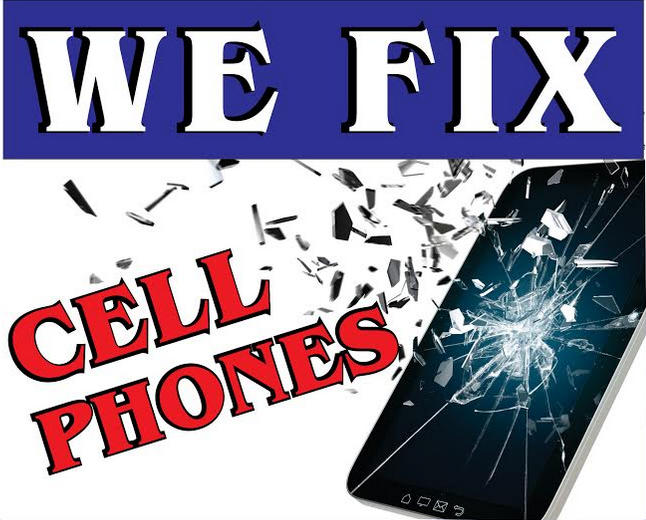 Let us replace your cracked screen while you wait! 30 minutes or less!